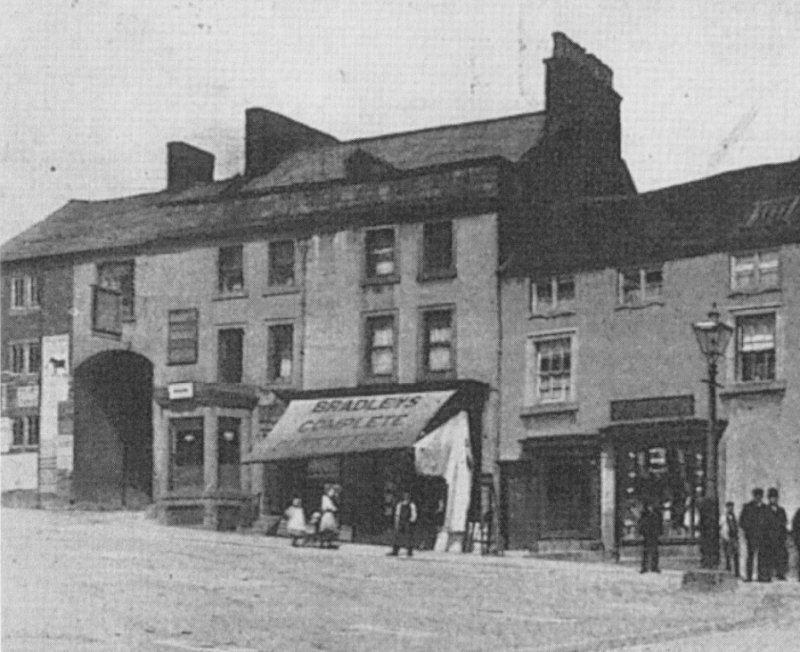 The Crown Inn, in Market Square, Wirksworth was an old coaching inn first mentioned about 1758. It closed about 1910, but today the same buildings are used as a private residence and a Post Office (see "Buildings in Wirksworth 6"). The high wide archway (called a carriage arch, to allow access for a stagecoach with driver on top) today leads to the Wirksworth Heritage Centre in Crown Yard at the rear of the Inn. The old photo below is undated but may have been taken about 1900. The Market Place was illuminated by a single gas lamp. References in the Census are: 1841, 1851, 1861, 1871, 1881, 1891, 1901. Darran THACKER is a descendant of Henry WYNN who is listed as the innkeeper of the Crown Inn in the 1901 Census.